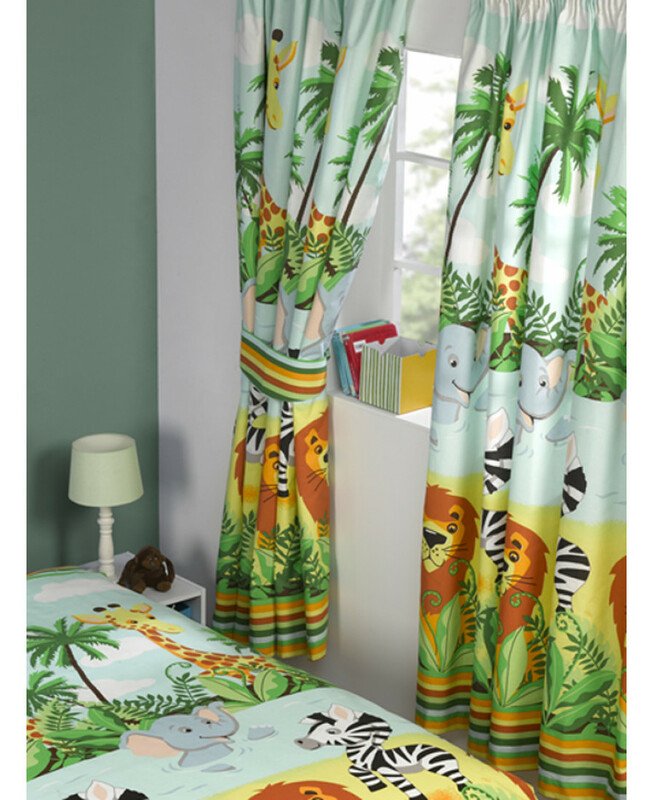 These Jungle-Tastic Lined Curtains are bound to be a hit with any little wildlife fans! 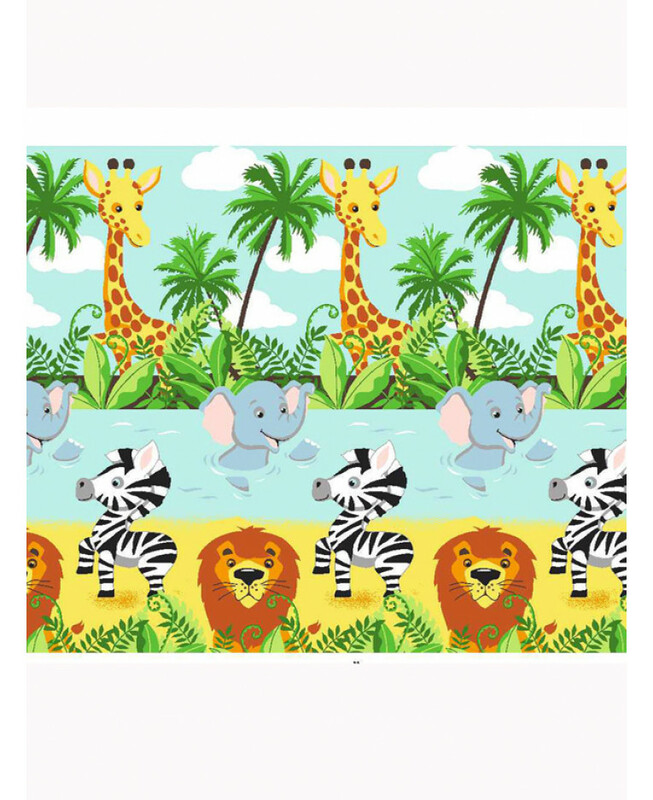 The fun design features a collection of colourful animals including lions and zebras set on a jungle themed background. The curtains are fully lined and come complete with tie backs. They are also suitable for machine washing. 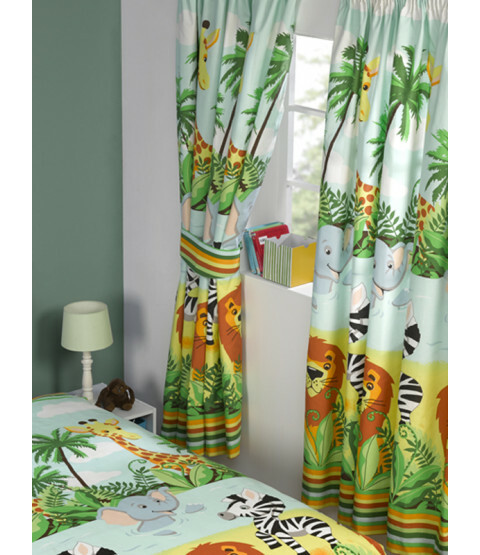 The design matches our exclusive Jungle-Tastic junior, single and double duvet covers and wallpaper border which are also available to purchase from our website.